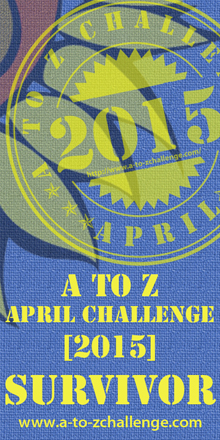 So the first of the A to Z Challenge posts are off! I've already seen a slew of them clogging my feed (and email) from old blogging friends, so I better add mine to the list and attempt some friendly visits. The Fallen God, Samael, has returned to the world of Vigil, and it's up to you and your army of chosen heroes to stop him! However, other champions are attempting to rally armies too. Only one will receive the honor of banishing Samael, and his minions, to the Void and become known as the Godslayer. Will it be you? Ascension: Chronicle of the Godslayer isn't your standard board game. It's technically classified as a deck-builder, a newer breed of board game that emerged some years ago. While I may be mistaken, I believe Dominion is coined as the Grandfather of Deck-Builders. Ascension, among others, is undoubtedly influenced by it. I'm relatively still new to modern board gaming, so I won't pretend to know all the ins and outs of every game and how they compare to one another, but Ascension is definitely a great gateway game for those looking to get their feet wet. For those unfamiliar with deck-building games, essentially you begin the game with a starting deck of predetermined cards. For Ascension it's 8 Apprentices and 2 Militia (pictured above). You draw a set number of cards (5 for this game, but this can change depending on cards in play or that are played throughout the game) and play them during your turn. These cards will produce resources. For example, Apprentices give you 1 Rune (used to purchase other heroes) and Militia give you 1 Power (to slay Monsters). With these resources you purchase heroes like the Mystic, costing you 3 Runes, which is placed in your discard pile. Eventually, once you reshuffle your deck, you have the chance of drawing these newer, stronger cards and playing them. For example, that Mystic will give you 2 Runes when played. A step up from an Apprentice. When do you reshuffle? As soon as you run out of cards in your deck and you need to draw or access a card it. This triggers a player to shuffle their discard pile which then, in turn, becomes their new deck. This is a pretty universal rule shared among deck-builders. As you play out a game of Ascension you will be slaying Monsters and recruiting Heroes, which are revealed on the center row of the board. Doing so will grant you Honor and other abilities. Gaining Honor is the main goal of the game. Each game starts with a number of Honor tokens (this number is dependent on the number of players) and once that pile of tokens runs out the end of the game is triggered. Cards are also worth Honor, denoted by a number within a star symbol located on the bottom left corner of each card (Note: starter deck cards aren't worth any Honor), so be mindful because even if you've collected the most tokens you may not win the game! The player with the most Honor receives the title of Godslayer and wins! Ascension is a quick, lighter board game that should be accessible to just about anyone. There is only a slight learning curve and once you play a practice hand, most of the components and gameplay are understood. While it's simplistic, the game still offers some strategic planning. It may not be very in-depth, mind you, but it's more than some other games I've played. The core set supports up to 4 players, but including the first expansion allows up to 6. The expansion also adds even more abilities and card types! Again, I think Ascension is great and works well as a gateway game to introduce new or lighter gamers into a different board game genre. Give it a go. If iffy on the cost, I'd recommend the phone app, which allows you to play the core set for free! I went into more detail than I originally planned (though, there is still more to add, which I will do in a full review), but hopefully you've enjoyed learning the fundamentals of Ascension! Have you ever played Ascension (board game or app)? If so, what are your impressions of it? If not, does it sound like a game you'd be interested in trying? Do you enjoy deck-builders? If so, do you have a favorite?